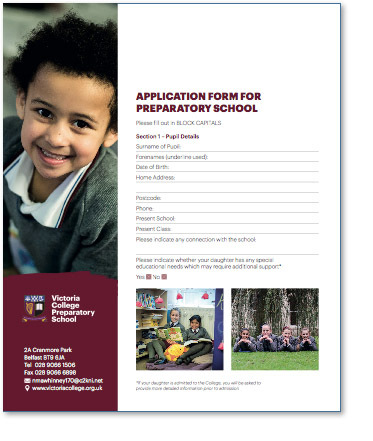 Welcome to our Preparatory School Prospectus. You can view it on this page by tapping the cover image below or you can download a copy as a PDF document. Our current fee list is also available for download. You can view our great academic selection results on our Academic success page. 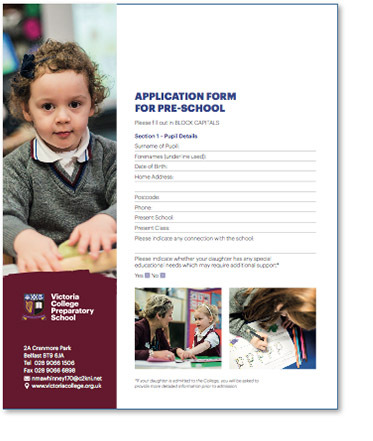 Download one of our application forms by clicking on the relevant form below. Entrance criteria can also be downloaded using the links below the forms.